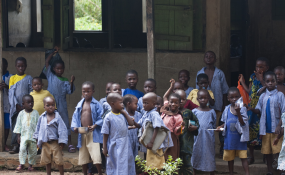 In Nigeria, millions of children are still out of school. The United Nations Children's Fund (UNICEF) says it is targeting over 501,749 out-of-school children in four northern Nigerian states in its Educate A Child (EAC) programme. The organisation disclosed this at a two-day media dialogue on Cash Transfers for Improvement of Girls' Enrolment in Schools on Monday in Kebbi State. The EAC was introduced as a funding window to reduce the number of out-of-school children in Katsina, Kebbi, Sokoto and Zamfara states by 2020. Its components, according to UNICEF, include the cash transfer programme (CTP) in addition to other grant opportunities. Speaking at the media dialogue, the CTP coordinator in Kebbi State, Isah Usman, said over 31,000 pupils in the state are currently being paid N8,000 every academic term to encourage learning. According to him, CTP was introduced as a social security net to assist "the poorest of the poor in accessing education." "The pupils are being given the sum of N24,000 every year through the women caregivers like their mothers to enroll, stay in school and complete their education," he said. "The cash transfer intervention under the EAC aims to reach 41,391 child beneficiaries and their female caregivers in four years: 31,044 in Kebbi State and 10,347 in Zamfara State. "Kebbi and Zamfara states are considered as 'educationally disadvantaged' states in Nigeria. Despite the fact that primary education is officially free and compulsory, there is a high number of out of school children, something this project aims to address," he said. He said the poverty level of rural community members largely restricts their participation in the education of their children. "Majority of them cannot afford purchases of basic learning materials, not to even support school infrastructural development, " he said. Similarly, the Minister of Information and Culture, Lai Mohammed, said the high number of out-of-school children in the north poses a serious danger to the children and the nation at large. Mr Mohammed, who was represented by Uche Chuta, an assistant director at the ministry, identified the major causes of the high number of out of school children as poverty, early marriage, illiteracy and teenage pregnancy. The CTP coordinator in Kebbi, Mr Usman, also identified the non-release of the fund by Standard Chartered Bank where it was domicile for onward disbursement to states as a major challenge to the project. "Standard Chartered Bank has been a great challenge, the beneficiaries don't get their money paid as a result of delay from the bank. This is affecting our mode of operation because we have to wait for bank agents who sometimes may not show up for payment." The Kebbi CTP coordinator also said in 2018, the state made the first disbursement of N8,000 per beneficial while the payment of the second and the third tranche which according to him is being delayed by the bank. The Cash Transfer Programme in Kebbi State is carried out in nine out of the state's 21 local government areas. "The nine local government were chosen due to the fact that they have the largest numbers of out of school children," he said. The nine local governments areas are: Argungu, Bagudo, Dandi, Gwandi, K/Besse, Shanga, D/Wasagu, Maiyawa and Suru.